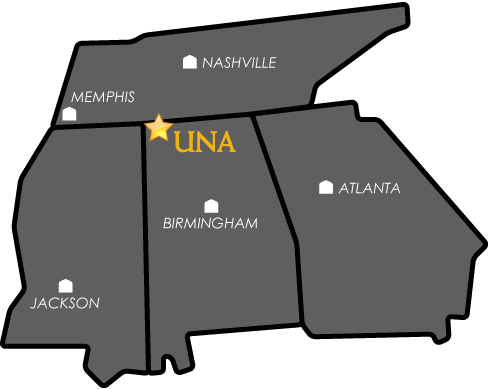 FLORENCE, Ala. – The University of North Alabama campus will once again be buzzing with students this summer; however, these students won’t be at UNA for a few more years. The Summer STEM camp for area high school students hosted by UNA, will kick-off in early June. The STEM camp will focus on science, technology, engineering and mathematics, and will provide local high school students with an opportunity to work with UNA’s math, computer science, physics and astronomy professors. Activities for the camp will include studying projectile motion and launching rockets, experiments with spectral glass, bright spectral lamps and multi-line lasers. In addition, students will study stars at UNA’s Planetarium, and they’ll also have the opportunity to program a robot and participate in a robotics maze competition.